The workmen are securing the steel reinforcing rods in place with wire ties. 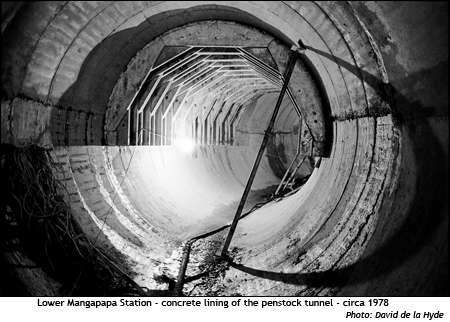 The raised concrete ramp in the left foreground corresponds in position to the penstock tunnel underneath before it starts its bifurcation to the twin turbines. Wooden formers were used to shape the concrete and a support for a former is shown in the foreground. 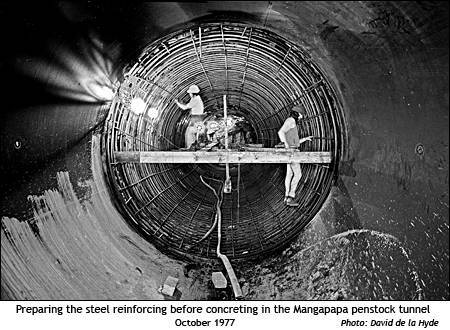 An approximately 3 metre diameter concrete-lined tunnel, 400 metres long, leads from an intake and access shaft structure at lake Mangapapa to the power station. 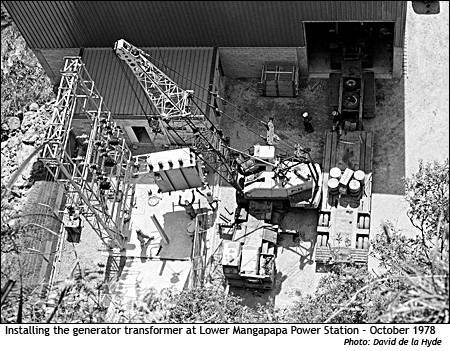 This supplies two horizontally mounted turbines with a centrally mounted induction generator. 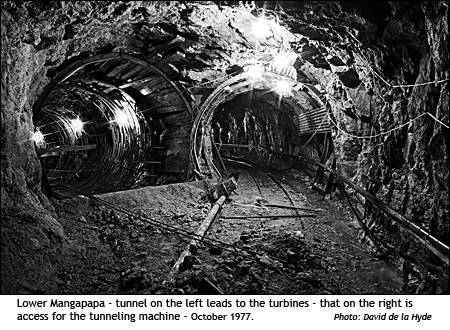 In the tunnels are corrugated iron sheets and wooden planks placed to prevent loose rocks and rubble falling on the tunnelers. Railway tracks have been laid for the tunelling machine.